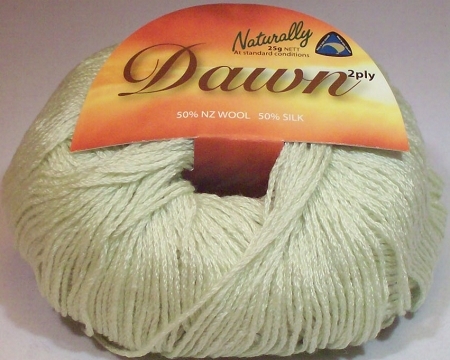 0.875-oz (25-gram) balls of Naturally Dawn 2-ply yarn. Each ball contains approximately 171 yards. 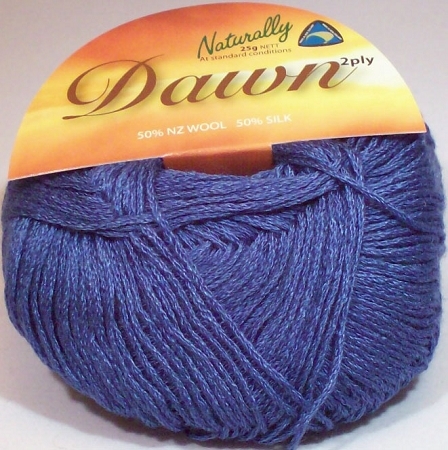 Dawn is a dressy, soft, lace-weight yarn with good drape and beautiful sheen. 50% New Zealand Merino, 50% Silk. Gauge varies to pattern used. 36 stitches= 4" on US size 0-1 knitting needles. I am totally please with my order of new dawn yarn. I love it, I love working with it. I received my order very quickly, and she was sooo very helpful with my questions. Could not be more pleased.